Are you stuck in a rut? Short of inspiration? Looking for a study guide that’s a break from the norm? This innovative book will give you the tools and techniques you need to work a bit of creative magic into every aspect of your studying. Mind stretches and mental workouts will enable you to take effective notes and to absorb and structure information in a way that can easily be recalled. Studying Creatively, the study guide with a difference, will show you how to change your environment to make creative study more effective, it will help you work on your presentation skills - there’s no point having great ideas if you can’t put them across. Good ideas are essential for any student who wants to do well. 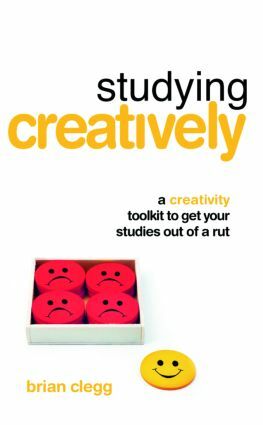 This invaluable guide, suitable for students from ages fifteen to twenty-one, empowers you with the tools you need to work creatively.